The "Guitar in the Making" fundraiser featured a special video by Alice Cooper, and a guitar decorating event. By auctioning off the custom-designed guitars, Alice Cooper's Solid Rock! Foundation is able to fund an outlet for children and teenagers to learn about music. 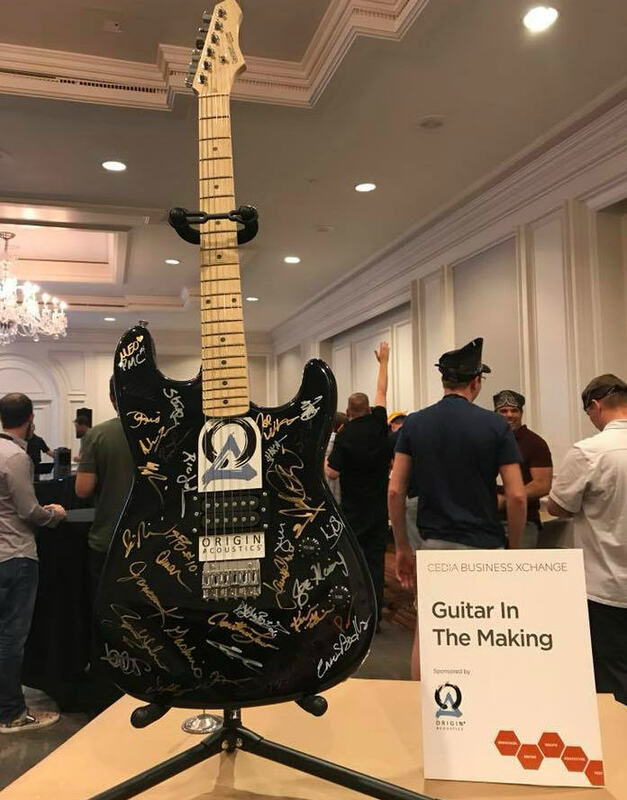 Origin Acoustics, an architectural audio company, recently sponsored the CEDIA Business Xchange “Guitar in the Making” fundraiser held in Phoenix, Arizona last week—benefiting Alice Cooper’s Solid Rock! Foundation. The Solid Rock Foundation is a Christian goodwill non-profit organization dedicated to helping troubled teenagers and children, and was formed by American rock musician Alice Cooper and his friend Chuck Savale in November 1995. 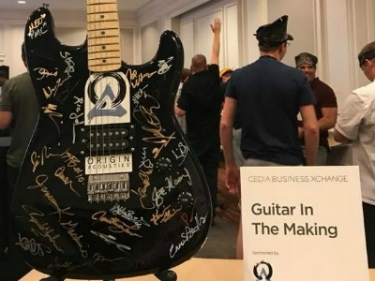 "A personal message from the one and only Alice Cooper kicked off the Guitar in the Making workshop at the CEDIA Business Xchange last week sponsored by Origin Acoustics. 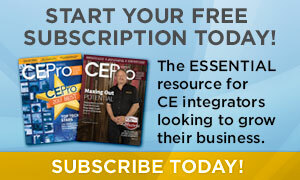 The event was a great success and a whole lot of fun,” said Dave Humphries, CEDIA Chairman. In his personal message, foundation president Alice Cooper informed the attendees that kids at the Rock Teen Center in Phoenix use guitars to, "hone their skills and reap all of the benefits of playing and making music." According to its website, the Rock Teen Center also provides vocational training in sound and recording, lighting, staging, and video production. Participants showed off their artistic talents in this team-building event by making and decorating custom guitars, many featuring Origin Acoustics logos and designs. The guitars will be auctioned off, with the proceeds going to Alice Cooper’s Solid Rock! Foundation. The Solid Rock! Foundation says, "Many teens today face a future without a solid foundation from broken promises and burdened hearts. At Solid Rock, our goal is to provide a landing place for teens. This local sanctuary is provided to support an exciting and creative journey for teens."